Pinterest is a bloggers best friend. If you haven’t made your Pinterest profile into something that will bring you lots of traffic, you have come to the right place. I wrote a blog post about how Tailwind can bring you lots of traffic with little work. But I wanted to point out that it is possible to get your Pinterest profile up and going without spending a dime. Tailwind just gives you some of your time back, which is really handy. Because money is time in the blogging world #amiright. So, stick with me in my handy blog series and we’ll talk all about Pinterest and how it can benefit your blog. If you’re at all serious about blogging, then you need to invest some money up front. It will make your life a whole lot easier if you buy the right tools for your blog. Before investing any money, though, one thing you really need to do is make your Pinterest profile into a business account. I found this handy little guide to making the transition into a business account really helpful. Do all that it says up until she starts pitching her class to you (I’m sure her class is awesome, though, if you’re interested in taking it!). I’ll dive in a little further about what she talks about in this blog series, but essentially, we want to first transition our Pinterest account into a business one. I really love this fancy feature that comes with a Pinterest business account. You get an email every so often telling me which pins are hot and I love this because it helps me understand which pins worked and which ones didn’t. 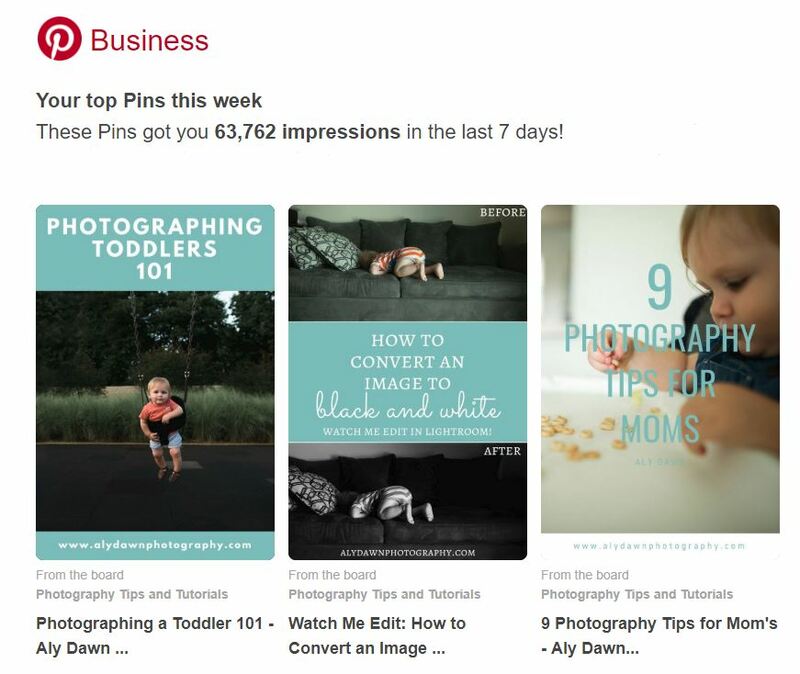 You can also go to Pinterest > Analytics > Overview to learn more about what pins are doing well and which ones aren’t. One thing you might notice when you go to the analytics page is it will say ‘pin type’ and then usually have an R underneath it. The R stands for Rich Pins. And if you don’t have this feature turned on, you need to do it right away. Rich pins help you track your pins. 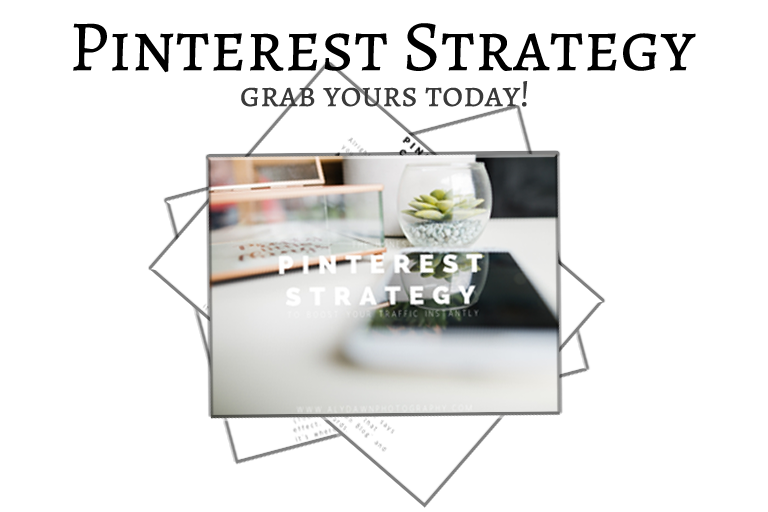 In order to turn rich pins on, you need to connect your website to your Pinterest account. I found this handy dandy guide to be excellent for connecting your website and turning on rich pins. And bonus! It also tells you lots of juicy information about Rich Pins and why you should be using them! By turning on Rich Pins you will be getting more traffic just from that simple step. Rich pins make your pins look more professional and therefore make people want to repin them more. I also love that rich pins can be connected to your website, so that you know exactly what pins are working. Go switch to rich pins now – you won’t regret it! The video below will walk you through how to join group boards and why they are good for your Pinterest profile! If you’re anything like I was when I first started investigating how to use Pinterest, then you probably haven’t heard about Pinterest group boards. WELL. Let me tell you about them! The number one thing I love about Pinterest group boards is that they are free. Yep. Free! 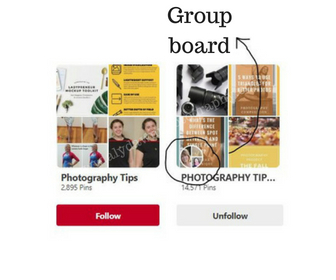 The reason you want to join pinterest group boards is because you’ll pin your pins to this board, and then someone else who is also a member of this board will pin your pin to one of their boards. This increases your traffic. Joining and finding boards aren’t hard at all. In fact, I even have a Photography Tips Pinterest Board you can join if you so wish! Just follow the instructions at the top to join (and if you’re still having trouble, just leave a comment below!). Joining Pinterest group boards is probably the number one thing I did to build my Pinterest traffic over night. I didn’t have to work very hard to get traffic from the boards. how many boards should i join? I’ve seen a few different opinions on this…don’t join a bunch, join a bunch, somewhere in the middle. For me, I joined quality group boards. What do I mean by quality group boards? I mean group boards that don’t have a ton of contributors. If the group board has a ton of people adding pins each day, then your pin can be lost. You also want to give what you take. If you pin a pin to a group board, you want to be sure to pin a few of the other pins to your own boards. Sharing all of their content with your followers. That’s the main point of group boards, is to help each other reach more people. You also don’t want to join a board that is dead. This is a little tricky to tell, though. You’ll probably have to join and see if it’s dead or not. If you pin one pin and then a week later you’re still the only one pinning your pins to the board…you might want to leave that board! Be smart about the boards you pick! The only hard part about joining boards is finding boards in your niche. That’s the key, in your niche! If you are a photographer, like myself, then you’ll want to search up in the search bar on Pinterest ‘photography tips’ as you are typing this, a drop down will appear. At the bottom it will have ‘Boards called ‘photography tips’. You’ll want to click on that. After clicking on a group board, you can usually find in the board description how to join the board. It usually involves you emailing someone. If there is no instructions on how to join the board in the description, then you will need to contact the boards creator. To figure out who the board owner is, just look at the top right of the board. There will be a few profiles shown. The first profile shown is the board leader. Message them on Pinterest and they usually let you join if they feel like you will benefit their board. That being said, if you aren’t a photographer, don’t join the photography tips boards. If you don’t sew, don’t join a sewing board. Make sure you are joining boards that are specific to your niche. Once you get accepted into some of these group boards, you will want to start pinning your pins! For this to get you traffic to your website, it’s important that you are pinning your pins. You want to make sure they are relevant to the group boards topic. Again, if you join a photography tips group board, don’t pin a pin that is about sewing. That’ll get you kicked out fast. 😉 Join boards that will benefit you! If you’re not sure how to create pinnable images for your website, check out this post! A great way to find group boards that will benefit you is to find a influencer in your niche and look at what group boards they joined. If they work for your niche and what type of pins you want to pin, then you should see if you can join it! what if i don’t get accepted into any boards? Sometimes it takes a while for group board owners to get back to you. And then other times, they don’t. Sometimes group boards aren’t accepting any more contributors. When I first started, I just sent a ton of emails and I got accepted into about 50% of them. I didn’t have much following and I didn’t have very many pins on my profile. I think if you still aren’t being accepted into pinterest group boards, it might benefit you to start pinning a ton of pins from the top contributor. That way, they see that you pin quality pins (because it’s their own pins!) and they see that you are active on pinterest. 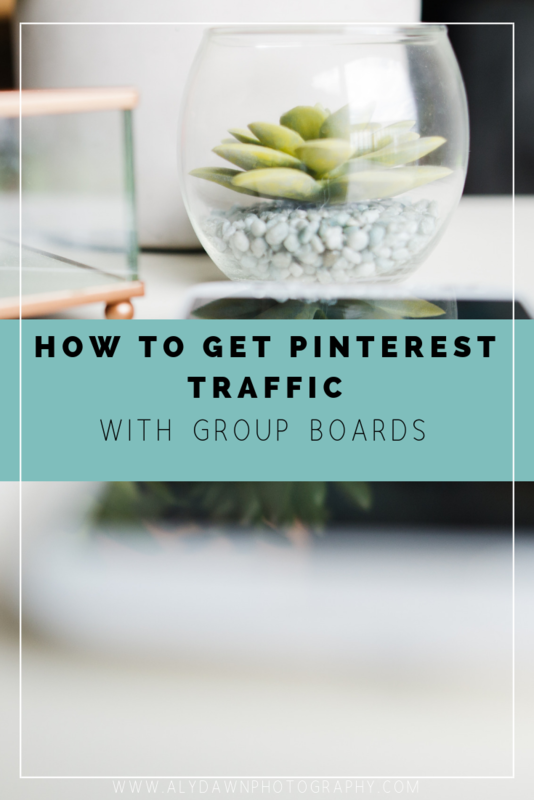 Many group board owners will check your Pinterest account, and if they don’t see any of their pins there and you’ve never interacted with them on social media, they will have a difficult time believing you’ll be an asset to the board. Poor-performing group boards can hurt a Pinterest account. Before applying to any group boards, you want to make sure your Pinterest account is up to date. I wrote the perfect tutorial for this! Check it out. 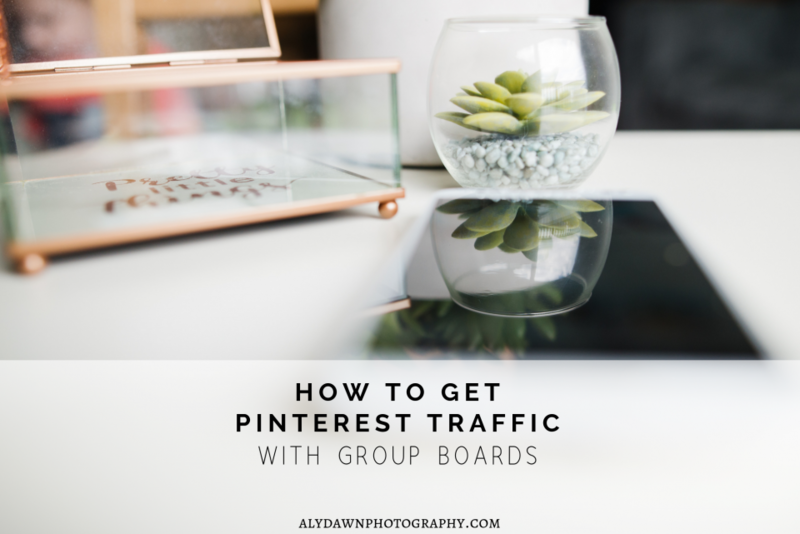 I’ve touched on this a little bit, but let’s talk about why pinterest group boards will bring you traffic. First and foremost, they will bring you more exposure because when you pin a pin to the group board, someone who also contributes will pin your pin to their own boards. Most group boards also have a lot of followers, probably more than you have, and they will also see your pins and pin them. By contributing to group boards I grew my website traffic significantly. I went from about 10 page views to over 100 page views a day. This was just from about a week of pinterest group boards.